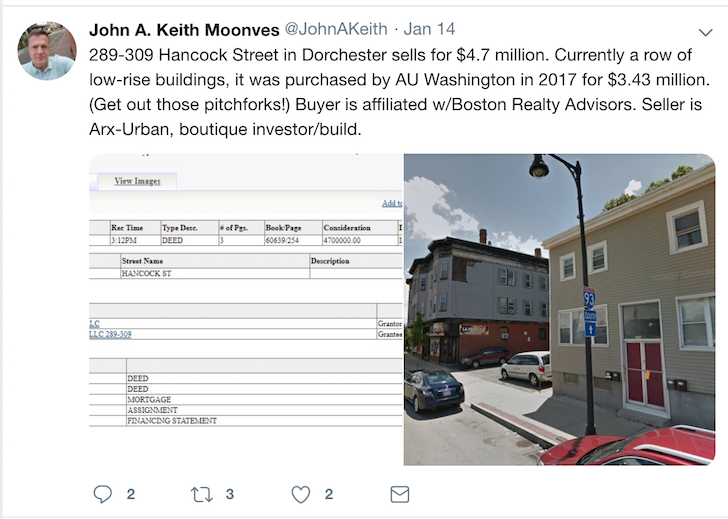 Boston Realty Advisors has acquired the redevelopment property at 289-309 Hancock Street for $4.7 million. This site is located right down the street fro the future Dot Block project and walking distance to the Savin Hill stop on the Red Line. This is a project to watch.